Rob Giles beams as he stands in his office with its sweeping views of the River Dart. 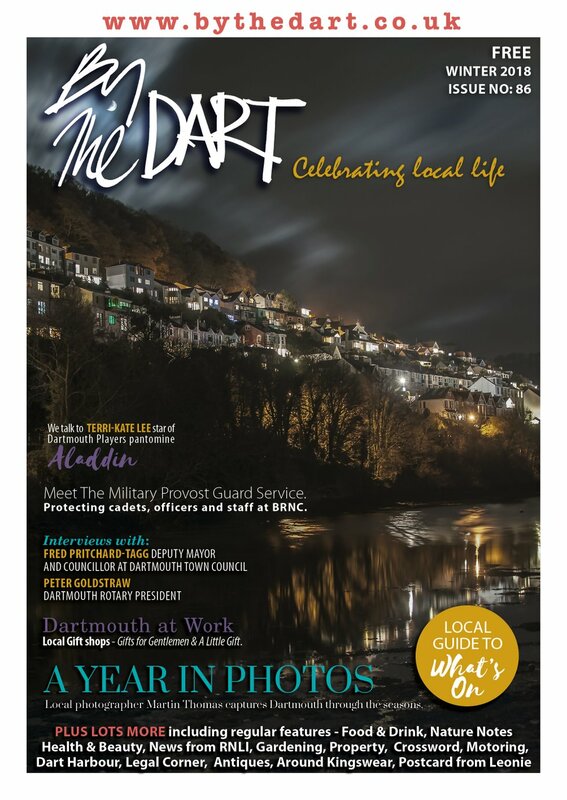 The former Royal Navy Lieutenant Commander, an experienced warfare officer who has travelled the world, couldn’t be more delighted to be the new man in charge at the Dart Harbour and Navigation Authority. “I can’t think of any other job that I would rather do – I’m still pinching myself,” said the 41-year-old Harbour Master. It’s not the first time Rob has been based in Dartmouth. As a 19-year-old, fresh from school at Blundell’s in Tiverton, Rob joined Britannia Royal Naval College in 1989. He has fond memories of the town and his delight at coming back is clear. Always keen on the water, Rob grew up beside the River Exe at Lympstone. He said: “My mother had a sailing school which she ran with my grandmother, the Blue Peter Sailing School in Exmouth. At Blundell’s School, rugby and cricket dominated, and when Rob left he set his sights firmly on a career as a Naval officer. His training included sponsorship by the Navy of a mechanical engineering degree course at Liverpool University, and as a warfare officer he enjoyed a varied career on surface ships all around the world. Rob’s first Command came when he went back to Liverpool University to run the Naval unit there. 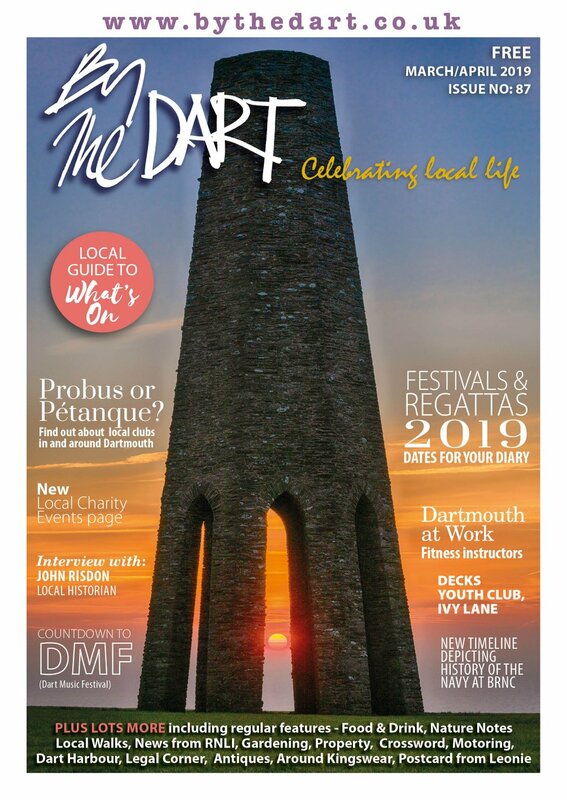 The post took him to 74 different ports in 11 different countries – the chance to gather a wealth of experience of all types and sizes of working ports, invaluable in his new post as Dart Harbour Master. In a post that mirrors current UK plans, Rob worked closely with the French Navy and then became operations officer for a squadron of eight mine sweepers and hunters based in Portsmouth. But a wind of change was beginning to blow through his life. Rob decided to face new professional challenges in his life, and met his wife, Vicki. He decided the time had come to leave the Navy. The couple bought a house in Ermington where they still live, with children Maisie, 9, Tilly, 3, and Seb, 16 months, plus dogs Marley and Monty. It’s a handy 25 minutes from Dartmouth. Since leaving the Navy, Rob has worked in strategic asset management for Devon County Council, and as a construction project manager for Devon and Cornwall Police. Both rewarding jobs, but when the Dart Harbour Master post became available, Rob jumped at the chance to land his dream job. The trust port has certainly taken its time to train Rob, who first discovered he had landed the job in the summer, and who spent four weeks with retiring Harbour Master David White undergoing a highly detailed handover before taking over. Rob described the task ahead as one of balance. 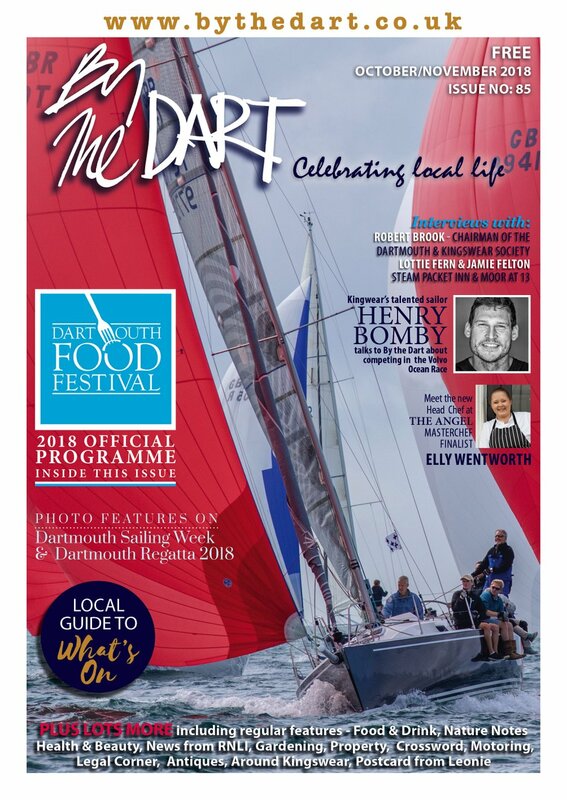 In overseeing the stewardship of the tidal River Dart he will have to weigh up big events on the river, such as Regatta and the arrival of huge visiting cruise ships, with the leisure life of the harbour and the requirements of the working port. Environmental and conservation concerns, the importance to the area of the beauty of the river, will lead to a close working relationship with the estuaries officer for the South Hams. There are statutory requirements that must be complied with, and UK and international regulations that must be followed. The role will also include preparing for unlikely, but highly reactive scenarios such as oil spills, and ensuring the health and safety of those using the river, as well as safe navigation.